There are many reasons to make an online transfer, including sending money to your home country and paying employees overseas. International money transfers are big business, with various estimates putting the market size at $600 billion to $1 trillion annually—and growing. There are many reasons to want to send money abroad, including personal transfers by expats and foreign workers to relatives in their home country, payments to overseas-based employees, and business related transfers. 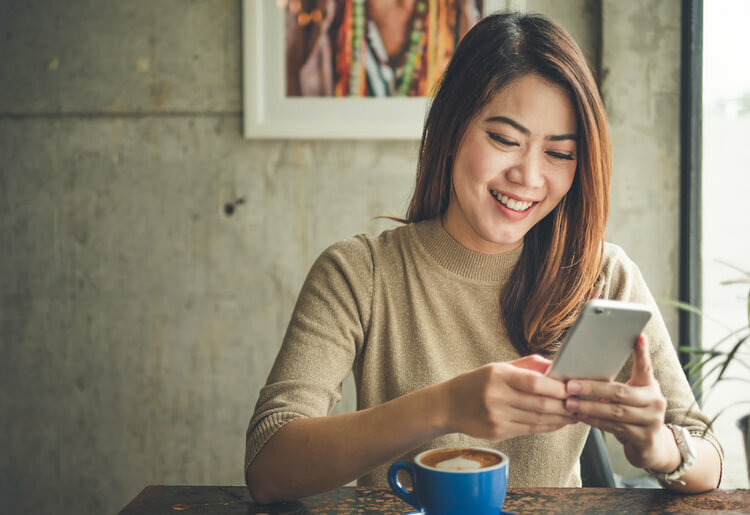 Rates and fees for overseas transfers used to be exorbitant, but thanks to the growth of online money transfer companies, this is no longer the case. Startups like TransferWise have disrupted the market with peer-to-peer (P2P) transfer services that bypass traditional bank-to-bank transfers and eliminate fees. A handful of older players like Western Union are also offering online payment services alongside their cash pick-up services. Banks can charge you up to 5% in hidden costs when you use them to send money to an overseas bank account. These include transfer charges to both sender and recipient, conversion charges to the recipient, and significant mark-ups on the actual exchange rate. P2P and other innovative services cut out the middleman. By doing so, they can charge the sender only a minimal service charge and send the money within 1-2 business days. TransferWise offers transfers from 24 currencies into 49 currencies. It has bank accounts all over the world, meaning your money never actually crosses borders and you won’t be charged needless exchange rate mark-ups and conversion fees. For example, to send money from the US to France, you just need to log in to your TransferWise account and send US dollars to TransferWise’s US account. TransferWise’s French account then sends the euros to the recipient. TransferWise “converts” to the recipient’s currency at the exact market rate without any markups and displays the service fee upfront so that the sender knows exactly what they’re being charged. TransferWise claims to charge up to 8 times less than the banks, and this is no exaggeration. Send $1,000 to euros and it’ll charge just $8.45, saving you up to $75 on bank fees, compared to an average of major banks. Send $100,000 to euros and it’ll charge $597, saving you up to $3,726 on bank fees. What’s more, the recipient isn’t subject to any charges. OFX offers transfers from 15 major currencies into 47 major and minor currencies. The major currencies are: US dollar, Euro, British pound, Japanese yen, Swiss franc, Canadian dollar, Australian dollar, New Zealand dollar, Hong Kong dollar, Singapore dollar, Swedish krona, Norwegian kroner, Danish kroner, Polish zloty, and UAE dirham. It works similarly to TransferWise but charges an exchange rate markup instead of a service fee. The markup varies for currency pair, ranging from as low as 0.4% when sending major currencies, such as US dollars, to as high as 1% and more for certain minor currencies. To see the rate for your preferred currency pair, simply register for an OFX account and follow the prompts. As an example, if the mid-market rate for a USD:EUR exchange is 1 USD to 0.85 euros, a 0.4% markup would translate to 1 USD to 0.816 euros. MoneyGram’s online transfer service isn’t as cheap as TransferWise or OFX, but it does offer a wider range of options and currencies. Anyone can use MoneyGram to send money in person, online, on mobile, or via Facebook messenger. Funds can be sent to a bank account, mobile wallet, correctional facility (in the United States), or to any of MoneyGram’s 350,000 physical locations worldwide for cash pickup. The benefit of cash pickup is that it’s instant, with no waiting for the receiving bank to register the payment. MoneyGram offers a free fees calculator so you can estimate fees for your currency pair and amount. To give an example: To send $500 from the US to a recipient in the UK for cash pickup, the transfer fee is $20.99 when paying from a checking account or $41.99 when paying by credit or debit card. Around 5%-7% of the total amount will be shaved off as part of the currency conversion. Currencies Direct offers online transfer services to and from 20 currencies. Like OFX, its only charge is an exchange rate markup, which can vary between the different currency pairs. To see the exchange rate for your preferred currency pair, Currencies Direct requires that you register and fill in your contact details on its website or that you call customer support. If you have the time to wait for the exchange rate to reach a specific amount, Currencies Direct allows you to place an order. If and when your preferred rate is reached, you’ll receive notification and be given the change to authorize the immediate exchange of your funds.